This section provides information on the curreny Atlantic County Executive and budget messages. 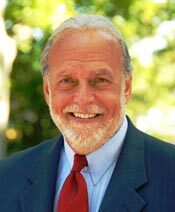 County Executive Dennis Levinson is a Ventnor native and a graduate of Atlantic City High School. He obtained a BA. from Rowan University and is a former history teacher. Levinson was a councilman in the City of Northfield and Atlantic County Freeholder-at-Large. He was chosen by his peers as Freeholder Chairman multiple times. He was elected Atlantic County Executive and re-elected four times. Levinson’s achievements and community involvement have been recognized by numerous civic, service and charitable organizations. He has received the Salvation Army Community Builders Award, the American Red Cross Distinguished Service Award, the Four Chaplains Legion of Honor, the Atlantic City Mainland Chamber of Commerce Man of the Year, the Whitney Young Spirit of Scouting Award, the Christopher Columbus Man of the Year Award, the Paul Aiken Encore Award, the March of Dimes FDR Community Service Award and the New Jersey Governor’s Leadership Award for Tourism. He has also been honored (along with Yogi Berra) by the Jersey Shore Council with the Distinguished Citizens Award, by Beron-JOAS of Atlantic County, the Atlantic County Police Chiefs Association, the Atlantic County Firefighters Association, the Atlantic City NAACP, the Absecon Veterans of Foreign Wars Post 9452, the American Legion Post 28 and the American Legion Post 81. He received CODI’s Outstanding Community Leadership Award, the Disabilities Resource Center’s Special Honoree Award, Mothers Against Drunk Driving (MADD) Distinguished Service Award, the Military Order of the Purple Heart Distinguished Service Award, the Department of Veterans Affairs Outstanding Service Award, the Ernie Day Good Scout Award, the Sons of Italy Louis Rosini Man of the Year Award, the Atlantic Prevention Resources Excellence in Prevention Award, the Atlantic County Hispanic Alliance Presidents Award, the Friendly Sons of St. Patrick Man of the Year Award and Vietnam Veterans of America Veterans Advocate Award. Levinson served as the Grand Marshal of the St. Patrick’s Day Parade and the Pan-Asian New Year’s Parade. He was also awarded the Beth El Synagogue’s Father Thom Schiavo Brotherhood Award, the New Jersey Conference of Mayors’ County Executive of the Year, the Atlantic County Institute of Technology’s Person of the Year, the National Sons of American Revolution Col. Richard Somers Chapter Award, the Atlantic County Asian-American Community Service Award, and was honored by the Bangladesh Association of South Jersey and FACES 4 Autism as its Faces of Hope recipient.